John Cobb is one of the world’s most important thinkers. The leading light in process philosophy/theology, he has authored over 40 books and edited 16 more (including 9/11 and American Empire v.2, which I co-edited). Andre Vltchek is one of the world’s most important journalists. Long ago he left the Western “comfort zone” and never looked back, traveling incessantly, observing trenchantly, and reporting on places that the mainstream correspondents never get to or never really see. 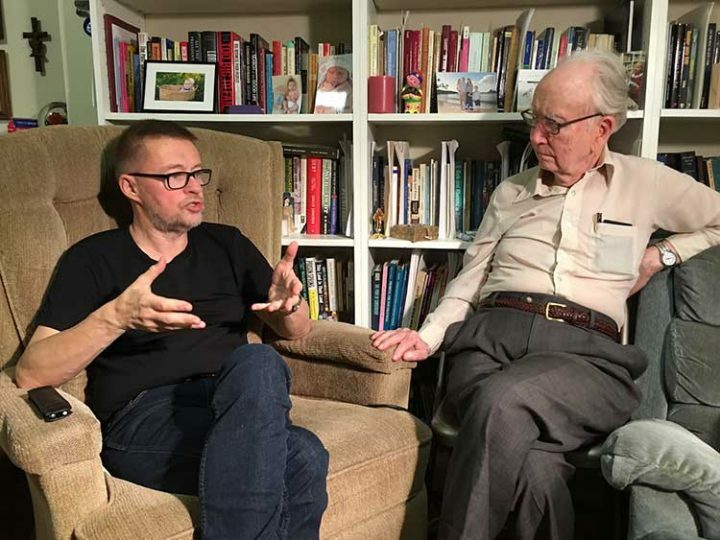 Since meeting John Cobb on a bus in North Korea, the leftist-atheist journalist and the eminent theologian have been engaging in a dialogue that deserves our attention. Really!? China—believed by readers of Western media to be the most polluted and polluting place on Earth—is our best hope for ecological sustainability? Why haven’t we read about this in The New York Times? Given China’s inexorable rise to global leadership, there is a real possibility that John Cobb, who (following Whitehead) founded process thought and brought it to China, may be viewed by future historians as a major benefactor of humanity. And if we do manage to survive by learning to care about the common good, Andre Vltchek, one of our most fearless critics of the current greed-based bankster capitalist system, will also deserve a share of the credit. This entry was posted on Tuesday, March 12th, 2019 at 10:46 am	and is filed under Anti-War, Climate Change, Environment, Kevin Barrett, News. You can follow any responses to this entry through the RSS 2.0 feed.